Discount coupon code link/URL that triggers automatic discount code for shoppers/customers. Discount coupon code link/URL that triggers automatic discount code for shoppers/customers. 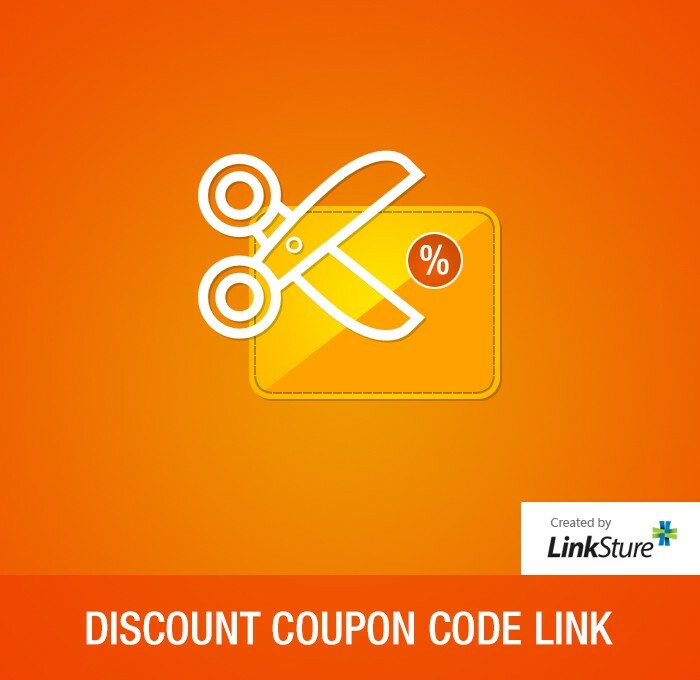 By installing “Discount Coupon Code Link”, your coupon codes will be available as http://www.yourstore.com/applycoupon/?code=couponcode. You can send this URL from your newsletter campaigns, emails etc…This URL will automatically apply coupon code when product add to shopping cart and system will apply shopping cart price rule automatically. There is no need to do any other configurations, edit templates or setups.